Strike King Rage Baby Craw - Plum Crazy. 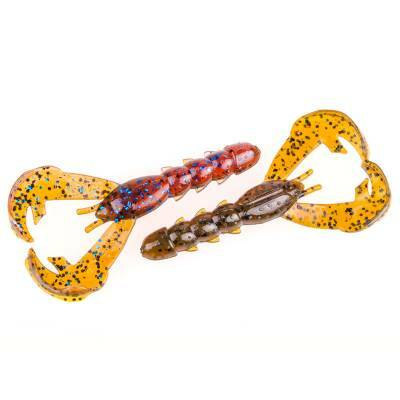 This 3" version of the popular Rage Craw is an effective little finesse bait with lots of rigging versatility. It's able to create a large amount of vibration and movement attracts bedding fish. When resting on the bottom, it looks like a defensive crawfish with pincers up. 9 per package. Assorted colors available.